Vargonen Review 2019: Is Vargonen a Good Hosting? Vargonen is a hosting company located in Turkey with a global data center network. Their aim is to provide a stable hosting service to small and medium-size businesses, backed by their professional support staff. Vargonen is a Turkish hosting industry giant established in the year of 2000 with headquarters in Ankara, Turkey. The company now operates eight data centers located across the world in seven different countries, which makes this company a global figure in the hosting industry. Vargonen is proud of its state-of-the-art technology and quality of service they provide. Virgonen has server services in seven countries and is a large-scale operation, however, they seem to keep their offers simple. There are three sets of hosting services provided by Vargonen: Shared hosting, Cloud hosting, and dedicated servers. In my experience, it’s best if the companies keep their offer as simple as possible because those types of hosting agencies provide the most valuable resources in their hosting plans. 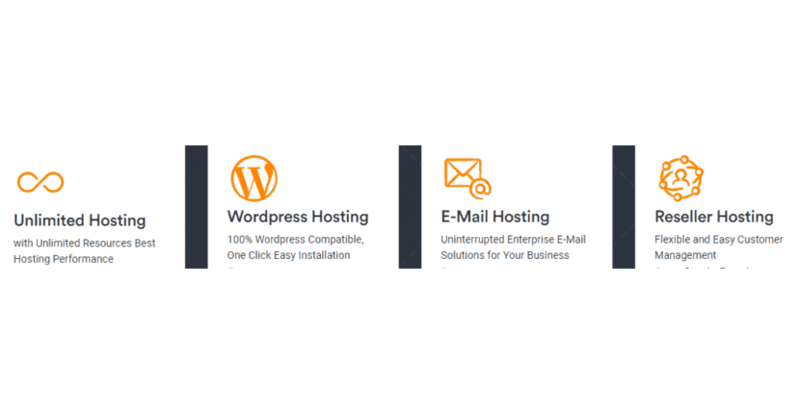 Vargonen provides two Shared hosting packages called Unlimited and WordPress hosting. Each of these packages comes in various pay grades. The unlimited plan is unlimited only in its two higher pay grade options, while the lower two come with a limited amount of resources. These limits apply to storage (1GB and 10 GB of space respectively) while only the lowest plan includes a limit of a maximum of three domains. A lot of people prefer limited options because they are sure about the number of resources they will have at their disposal. However, with the number of data centers equipped with state-of-the-art Tier IV hardware, Vargonen is able to provide the promised unlimited resources without an issue. What really caught my attention is their WordPress hosting option. It includes four different options with the best offer providing up to three websites with unlimited storage on SSD storage drivers and unlimited bandwidth. The reason why I find this option so interesting is that it’s simple to use. Thanks to a free cPanel, you are able to install WordPress and all the third-party add-on for free just by a click on a button. It allows you to build your website from scratch using a number of free templates that you can adjust as you wish. It’s really a seamless solution for all aspiring bloggers because it takes absolutely no technical knowledge to set up your website. The amount of money you’d have to set aside for Vargonen services is very competitive, especially in the European market. However, the fact that you have to purchase SSL certificates takes away a part of that appeal. On the other hand, there is a free DNS service for users who renew their domain name registration. All things considered, Vargonen can be described as an affordable solution for small and medium business clients. They accept credit cards and PayPal but state funds must be in Turkish lira. Vargonen’s website is in Turkish and because they operate in eight data centers in seven countries, it is safe to assume their support is offered in English as well as other languages. Technical support is another part of Vargonen services which made me like this hosting agency. There are various ways in which you can contact their support, such as telephone, Live chat during working hours, ticket service, and a client portal. They don’t accept collect calls but may do so if you are a paid client. The support staff is professional and know how to communicate with a customer when they realize that person is not a tech expert, which is important for the resolution of issues. Overall, Vargonen is an affordable, well-equipped hosting agency with their services focused on small and medium business owners. They provide excellent support service and a lot of free third-party apps, useful for customization of your website which you can migrate for free or build from scratch with the tools Vargonen provides. Wondering how Vargonen stacks up against other Web Hosting companies? Enter any other Web Hosting company and we will give you a side-by-side comparison.